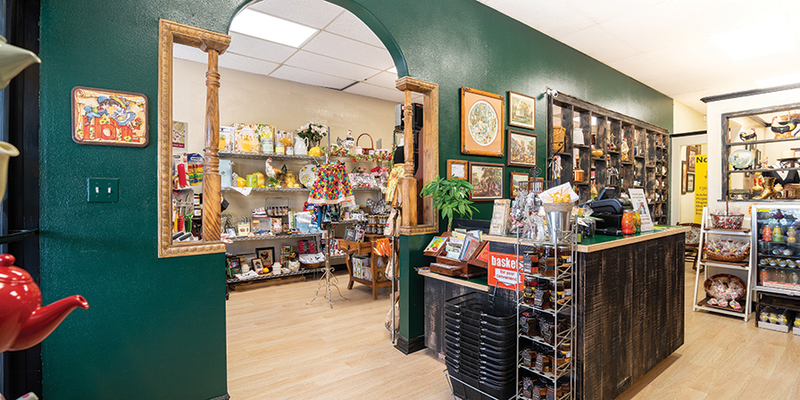 Old Magnolia Shoppe is a small, family owned, kitchen shoppe located in the heart of Old Town Upland, 243/247 East 9th Street. 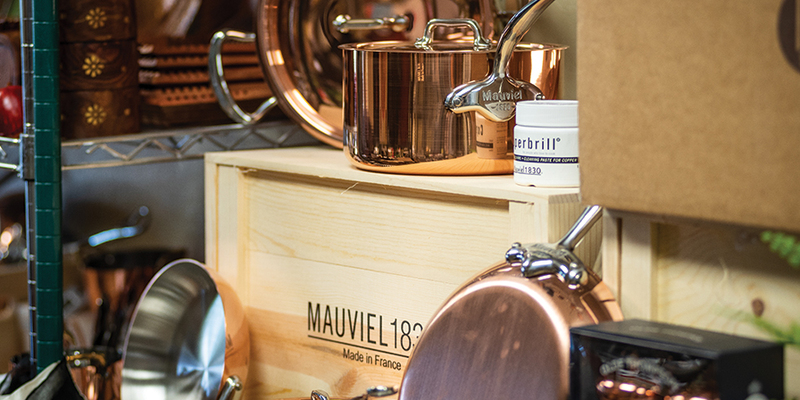 As a business woman with previous years of experience in the kitchenware industry, and her love for cooking, Maria Vogel decided to open the shoppe in the historic district to add to the charm of the downtown area. 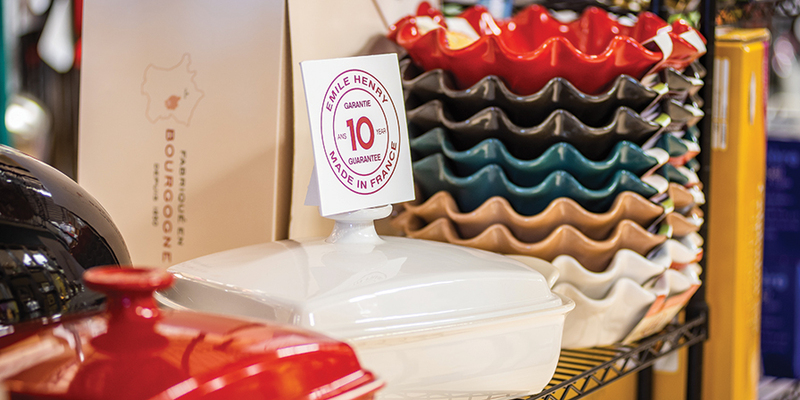 The new merchandise with some intertwined vintage items give the shoppe a sense of nostalgia from yesteryears that make you want to go home and try your new bakeware, gadget, or apron. 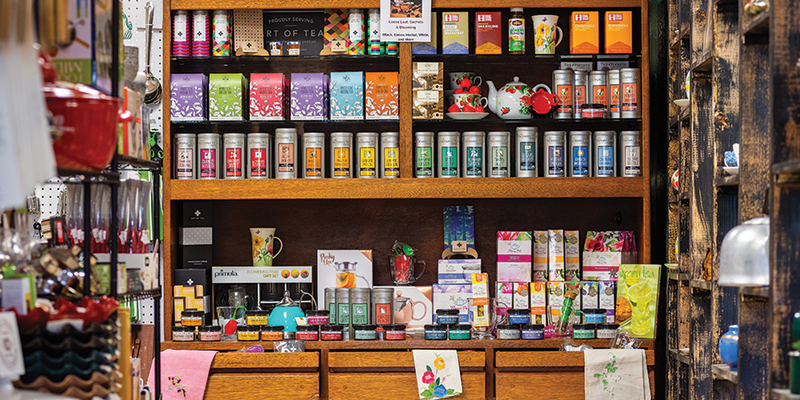 The shoppe offers a good selection of high-end cookware, gadgets, kitchen decor, collectible teapots, organic loose leaf tea, organic whole bean and ground coffee, award winning hot and BBQ sauces, honey, mixes, jams, and much more. Some of the name brands are Emile Henry, Mauviel, Joyce Chen, Intrada, Blue Sky, Zyliss, Dave’s Gourmet, Hellfire, Bone Sucking Sauce, just to name a few. It also features vintage, and homemade aprons by Old Magnolia Shoppe as well as other local artisans and Maria’s mom; who at the age of 80 can still embroider and sew. 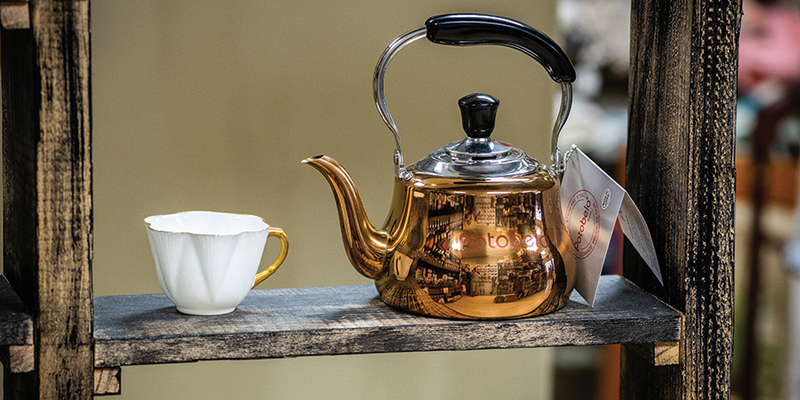 Old Magnolia Shoppe’s goal is to provide you with great customer service. As their line of products increases you may want to let them know what items you would want to shop for in the store rather than online. 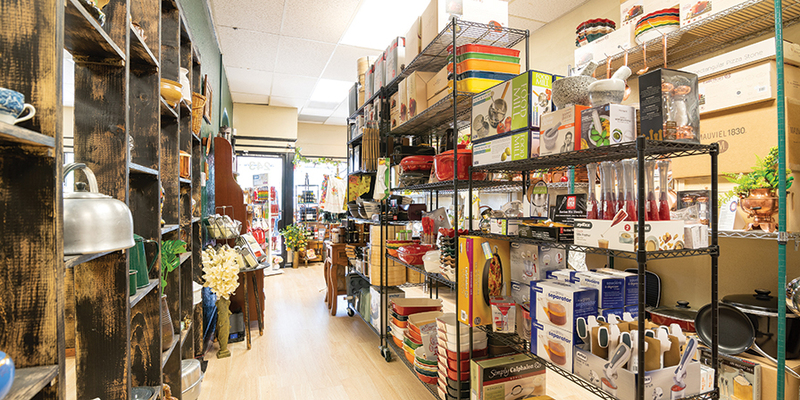 Take some time to check out the all new Old Magnolia Shoppe, Upland’s one and only kitchen shoppe in the heart of town.